S&F Foods, Inc. located in Romulus, Michigan, just minutes from Detroit Metropolitan Airport, is a 27,000 sq. ft. USDA, BRC, Organic and Gluten Free Certified Frozen Food Manufacturing Plant. 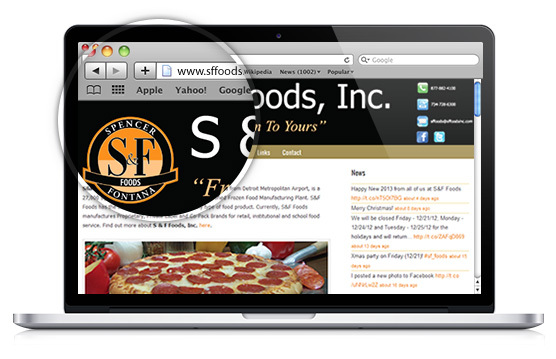 S&F Foods has the ability to top or enrobe virtually any type of food product. Currently, S&F Foods manufactures Proprietary, Private Label and Co-Pack Brands for retail, institutional and school food service.